We are here giving you the collection of best and top branded accessorized and styling trends from the top brands in Summer/ Spring 2012 which will definitely help you to get a different look. 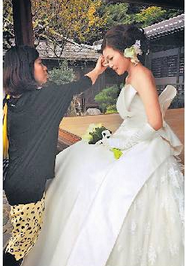 Hair styling is as very important like the rest of the things such as which clothes to choose, shoes, make-up, accessories, etc. Your hair highlights your face.Here are some of the very new and different hair styles which you would like to try for being the charm where- ever you go. We are here giving you the collection of best and top branded accessorized and styling trends from the top brands in Summer/ Spring 2012 which will definitely help you to get a different look. Hair styling is as very important like the rest of the things such as which clothes to choose, shoes, make-up, accessories, etc. Your hair highlights your face. Here are some of the very new and different hair styles which you would like to try for being the charm where- ever you go. 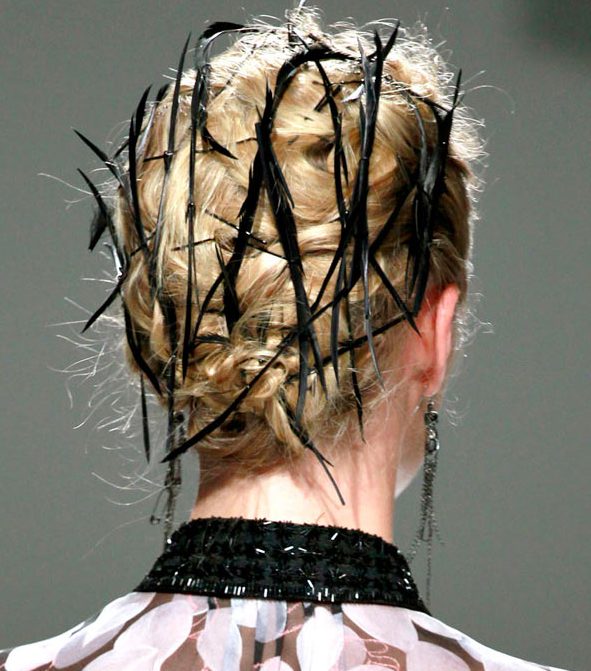 Who ever thinks that up-dos are boring, should definitely think again. This summer its all about pretty hairbands and finishing touches. Some of the top brands styles are shown below. This hairstyle was seen at Chanel Summer/ Spring 2012. 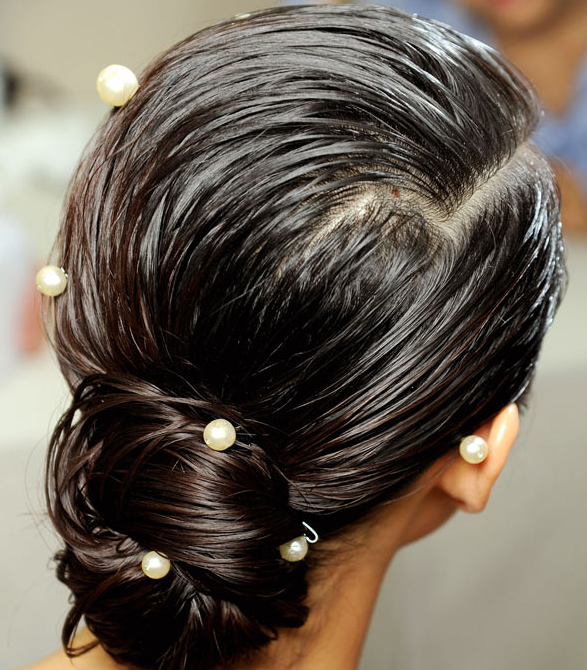 This hairstyle was also seen at Chanel Summer/ Spring 2012, in which the pretty pearl pins are added to low- slung bun. Its seen at Chanel Summer/ Spring 2012. This look has been given a high- shine style by leaving the hair wet and also adding a slick of gel. Now this style was seen at 3.1 Philip Lim Summer/ Spring 2012, in which few sections has been left loose so as to scoop the locks into a bun and pin it in style at different heights. 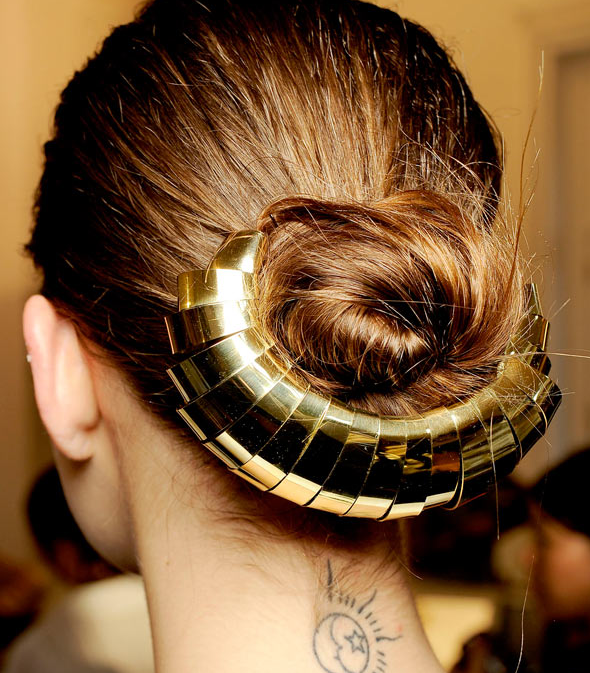 Its seen at Gucci Summer/ Spring 2012, in which a metallic clip is added around the ponytail. To make your hair go crazy, you can definitely go with this grips and clips. 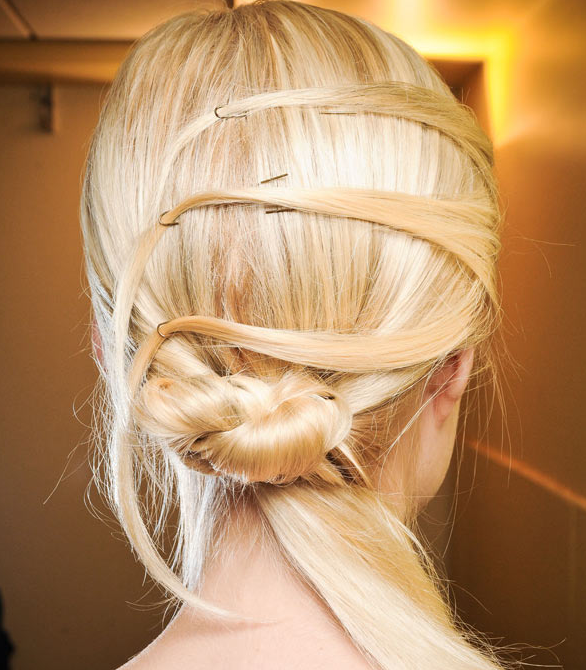 This style was seen at Jason Wu Summer/ Spring 2012. Its the style seen at Jason Wu Summer/ Spring 2012, in which you just need to twist the sections of hair into mini buns and secure it with the over sized grips all over the back of the head. This look teaches us not to underestimate the power of a pretty hairband, as its alone is sufficient to transform your look. This style was seen at Louis Vuitton Summer/ Spring 2012. This style was seen at Louis Vuitton Summer/ Spring 2012, in which a band like a sweet royal tiara is being used to soften your look. This style was seen at Yues Saint Laurent Summer/ Spring 2012, in which a stunning golden accessory brighten up the low- slung bun. For those who think buns are boring should definitely start thinking otherwise. This season glamour has been back with its center parted style. people who has dug their heated rollers and blow- dry brush, its time to take them out. This style was seen at Cholé Summer/ Spring 2012. Its a simple center- parted with subtle wave and a high shine finish, seen at Cholé Summer/ Spring 2012. 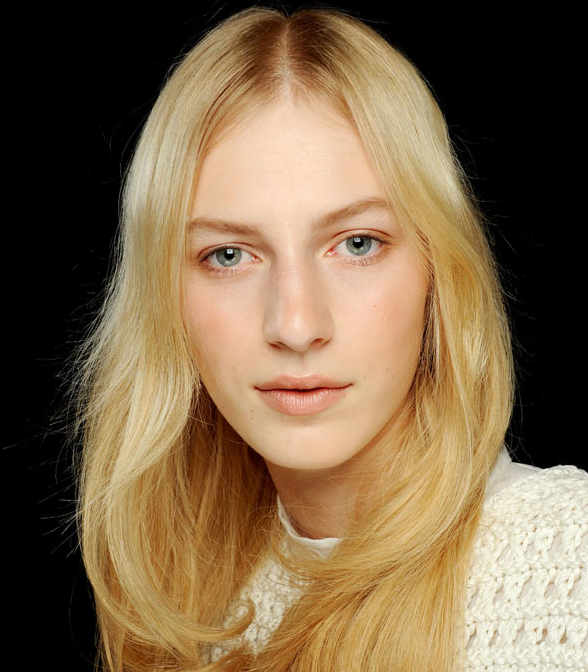 This style was seen at Anna Sui Summer/ Spring 2012, in which hairs are side parted with brushed out curls. In this hair style the glossy pink lips, add extra glamour to the style seen at Anna Sui Summer/ Spring 2012. 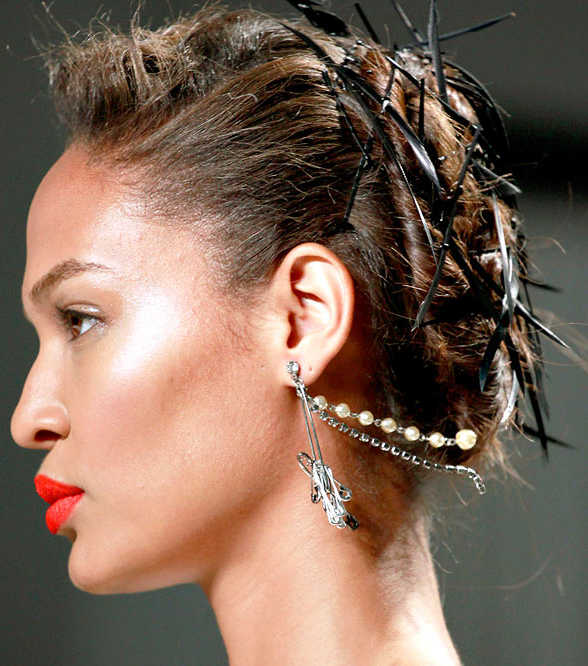 This style was seen at D&G Summer/ Spring 2012. This style was seen at D&G Summer/ Spring 2012, which is a natural style in which you van add a extra bounce with a few loose curls. 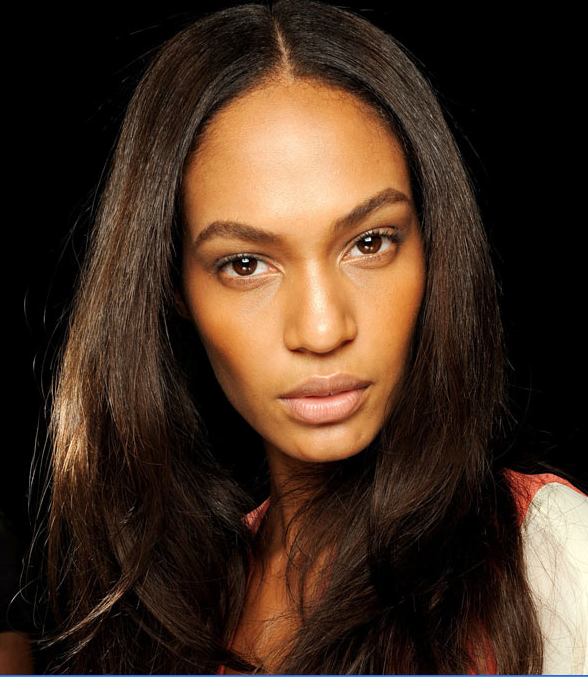 This style was seen at DKNY Summer/ Spring 2012, in glamour is added by a kink in the natural bounce. This style was seen at Issa London Summer/ Spring 2012, in which a hollywood glamour is added with extra large spiral curls brushed out. This style was seen at Versace Summer/ Spring 2012. 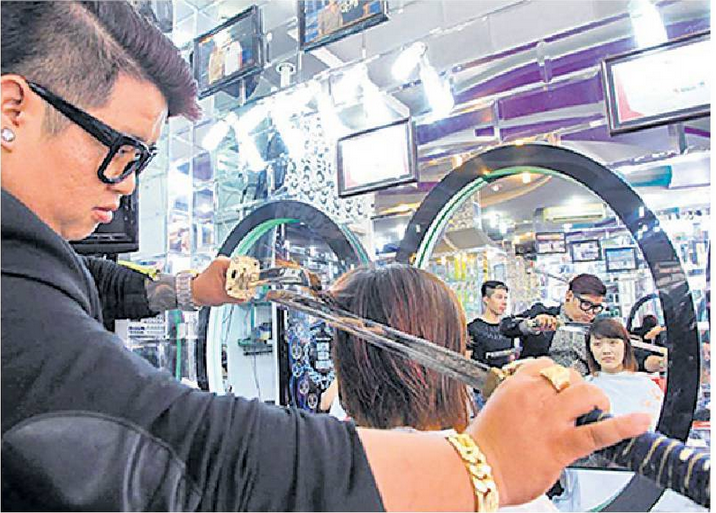 Samurai Swords Used for Stylish Hair Cut.